When Globe first launched their virtual wallet dubbed as GCASH, I need not think twice whether I should register or not. It's because, registering is easy and I've seen that most online shops accept GCASH as mode of payment back then. I remember that my first ever online purchase was paid via GCASH without any hassle whatsoever. Dial *143# on your phone. Choose GCASH then Register. You will then be asked to enter a 4-digit MPIN, your first name, last name, your mother's maiden name, complete address and registration code (if none, just enter 0). Ensure that all the information you'll enter is true and correct to avoid deactivation of account. Just continue following the steps that would appear on your phone and you're done. Recently, Bangko Sentral ng Pilipinas required a one-time verification of identity or "Know Your Customer" (KYC) process for GCASH members to further ensure safety to all users. This somehow affected my usage of their service because I couldn't find time to go to one of their outlets to get myself verified. 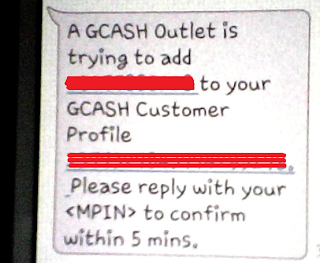 Unverified GCASH accounts have limited access to the said service. This is one reason why I signed up for a Paypal account, which by the way, is still unverified too. When I came to know that GCASH-American Express Virtual Card (AmEx) can be used to verify a Paypal account, I got determined (determined talaga? haha) to allot a little time in verifying my GCASH as it is a requirement in applying for the AmEx Virtual Card. What I had in mind was this; "If I verify my GCASH, I could apply for the GCASH AmEx which I could use to verify my Paypal too. It's like hitting two birds with one stone!" So, after work last Saturday, I went to nearest Globe service office and endured the long lines inside. I thought all I need was an ID for the verification but boy was I wrong! You go to the customer service staff, log in their logbook and flash him your sweetest smile. (last one required) haha. Kidding. You will be asked a few questions about yourself (same info as the one you used when you first registered). Staff will encode, encode, encode. Then when he's done encoding, a message would be sent to your phone and you have to reply your MPIN within five minutes. After you send your MPIN, you will receive another message informing you that you are now KYC'ed! Congrats! You can now enjoy being a verified GCASH user and you may apply for a prepaid credit card through GCASH-American Express Virtual Card if you want! It's easy to use for purchasing via gcash. I tried to cash out from it. I'm not a GLOBE SIM user but I am planning to have one. 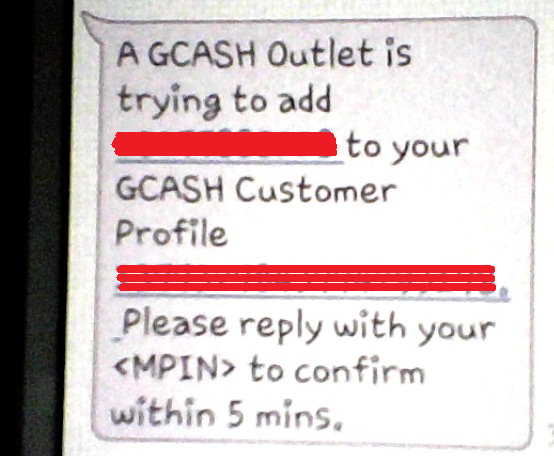 Thanks so much for this step-by-step procedure on how to register GCASH. 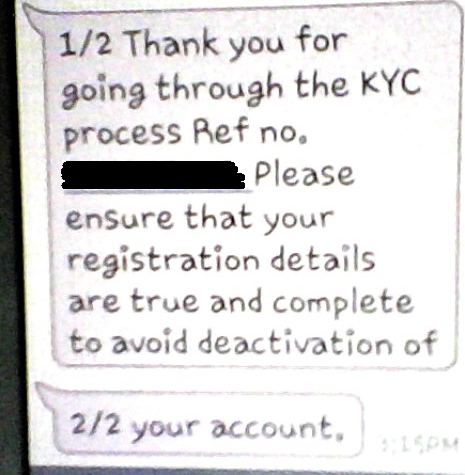 This is so timely as I just changed my mobile phone number, and now I need to register a new gcash account :) Thanks! I've signed up for GCASH exactly once - and never used it again. Mobile e-commerce is probably not for me. Haha. I haven't tried using GCASH because I am apprehensive about it, thanks for the details you provided because I now understand how easy and flexible to use it. how to verify paypal with gcash amex? can't do this talaga.. nagsearch na ako but no accurate answers. Sabi sa globe kyced na daw account ko pero hindi prin ako makapagcashout ng pera, may laman ksi yun dahil doon pinadala ang pangenroll so till now diko alam ggwin ko diman inaakyonan ng globe dhil priority nila ang mga magbabayad sa kanila hay!